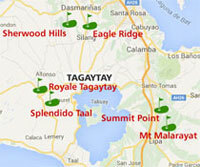 Golfing at Intramuros, Tagaytay, & Eagle Ridge in the Philippines. 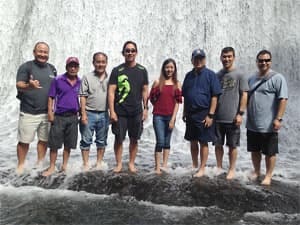 "Thank you for putting together our 2018 Ping Golfers Club Golf Tournament in the Philippines. My friends had a wonderful time at the Golf Courses and during the Day Tours." 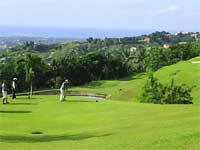 As a specialist Philippines Travel Company, we specialise in planning golf holidays, for groups, couples, or single players. Our Bespoke Packages are tailored to YOUR requirements, to fit in with your dates of arrival and departure. "The trip was fantastic. Your young lady was waiting for me at the airport when I arrived, picked me up everyday and took me to a really nice course to play golf. I didn't have to organise anything which is just what I wanted." "On behalf of my group I would like to thank you and your staff for a most enjoyable holiday in the Philippines. I hope we can do it again in 2018"
Enjoy a Golfing Holiday centred on Manila, Tagaytay, or Clark, incorporating the finest nearby golf courses, or consider other Philippines golf destinations such as Cebu and Boracay. Caddies are always available to assist. You can often also have the services of an "umbrella girl" to block the sun so you can play in the shade. No matter where you elect to stay, a driver will transfer you to and from each golf course every day. Most Golf Clubs have equipment to hire. On golf-free days, we can incorporate sight-seeing excursions, and those arrangements are taken care of too! 1) Our staff will meet you on arrival at the airport, whether you fly into Manila, Clark, or Cebu, and transfer you to your pre-arranged accommodation. 3) Transfers between your hotels and golf courses. 5) Regional excursions where required. 6) For Group Travel arrangements we will work closely with the Group Leader to satisfy the requirements. Most golfers don't want to spend a lot of time with lengthy travelling, so we have a fantastic arrangement with top golf clubs within easy reach of each other in the Tagaytay - Cavite - Batangas region, just to the south of Manila. Enjoy the capital city at night, and travel to golf courses situated around Manila during the day. 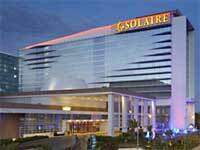 Consider incorporating the famous Solaire Resort & Casino, Entertainment City, with your Manila based Golf Package. We'll make all the arrangements including pick-ups and transfers to the various Golf Courses. 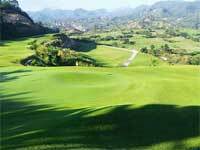 North of Manila, based in popular and lively Angeles, this region of Luzon has a number of excellent Golf Clubs. 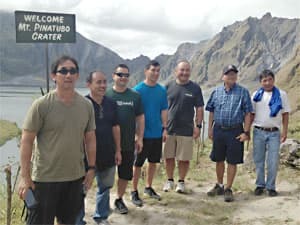 If you are flying in to the Philippines and arriving at Clark Airport, being based in this area you can enjoy playing golf at various Clark Golf Courses without having to travel to Manila. 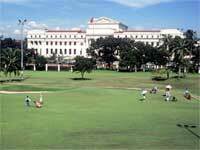 Fly in to Cebu - the Philippines' 2nd City, and enjoy a Cebu Golf Tour. 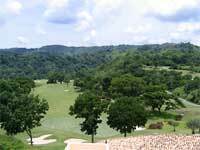 Golf Clubs include ﻿Cebu Golf and Country Club, Club Filipino, & Alta Vista Golf Club. Philippine Trails has a local representative who will look after you throughout your stay in Cebu, including pick-ups and transfers to the Golf Courses. Boracay is the Philippines most famous island, known for its vibrant nightlife, and for visitors we're delighted to be promoting the wonderful golf resort of Fairways and Bluewater. This is the perfect island golf resort, surrounded by beautiful blue sea, white sandy beaches and unlimited sunshine. 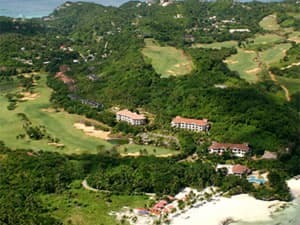 Rated by Interval International Fairways and Bluewater is the only 5 Star Boracay Island Resort with a Championship 18 Hole, par 72 Golf Course, designed by Graham Marsh.